Come see me at Dreamforce 2012! I am excited to announce that I will be speaking at two sessions at Dreamforce this year! For those of you that read my blog, you’ll notice that I did a very similar presentation at Cloudforce San Francisco in March this year. I’ve expanded / improved the presentation and added a really cool new “drag and drop” section that deals with Opportunities and Opportunity Products. I’m excited to show it off! After the presentation, I’ll post it all up on GitHub for everyone to share. Haven’t signed up for Dreamforce yet? I can help you out on the cost. Use the code “SPKREF” to save 20% on the registration fee. Hope to see you all there! Let me know if you are coming and we can connect up. 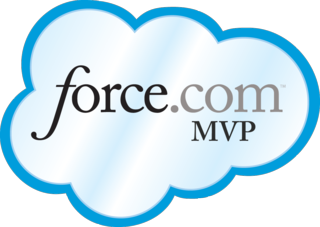 A quick announcement for everyone – I will be working with Salesforce to lead the Twin Cities (MN) Developers User Group in 2012. There will be some more formal and Salesforce-backed communications coming out in early 2012 – stay tuned! The focus of the group will be to bring Twin Cities (MN) based Salesforce technical professionals who are looking to connect with peers together for the sharing of knowledge, tips/tricks, and (technical) network building.